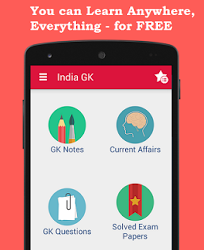 5th, 6th November 2016 Current Affairs MCQs, Quiz, Questions: Current Affairs for October 2016, Daily Multiple Choice Questions (MCQs) for India GK, World GK and current affairs with Collection of daily objective type Question by www.Indiagk.net based on General Knowledge (GK) and General Science (GS) Questions for UPSC, State PSC, SSC, Police exam, Railway exam, SBI, Bank PO, IBPC, SSC, LDC, UDC, Army, Airforce, Navy, Coast Guard, Bank Clerk, TET and all entrance examination with current affairs News, Multiple Choice Questions (MCQs) available on Website www.IndiaGK.net and Android Apps with daily updates:. The Asia’s largest man-made JUNGLE SAFARI is located in which state? Election Commission to conducts pilot of Electronic Transmitted Postal Ballot for service voters in which state/UT? NASA has completed its largest space telescope which will be 100 times more powerful than the Hubble probe. What is it called? Who inaugurated 1st International Agrobiodiversity Congress on 6th November 2016?